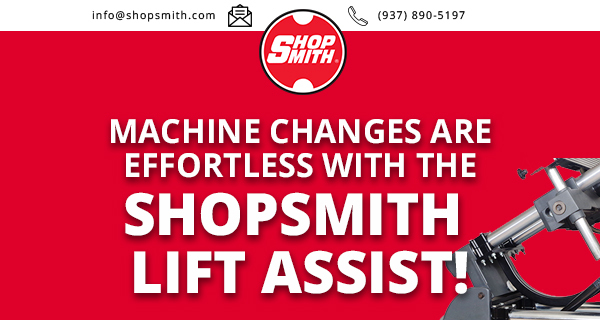 Save Now on the Shopsmith Lift Assist! Have Questions or Want to Place Your Order by Phone? Better Hurry - Offer Ends 4/15/2019!